When muscles are tense, knots can form. These knots can be painful, and these areas of pain are known as trigger points. Sometimes, these points can even be felt under the skin, and when pressure is applied to the points, they trigger pain. Other parts in the body are altered by trigger points because they affect the surrounding areas. Most trigger points are caused by stress, overuse of a muscle, or issues with the spine, such as poor posture. By reducing your stress or exercising, you can help to relieve the trigger points. However, if you continue to suffer from this type of pain, your workers compensation doctor may prescribe a treatment known at trigger point injection. As previously mentioned, trigger point injections are used to relieve knots, or points of pain, that form in muscle groups. Most commonly, trigger point injections are used in the legs, arms, back, neck, or shoulders. Trigger point injections can also be used to treat chronic headaches and fibromyalgia, both of which cause long-term pain. Some doctors have also used these injections to treat temporomandibular joint pain or jaw pain. The entire trigger point injection procedure only takes a few minutes, and can be done in a doctor’s office. The goal of the injection is to stop the trigger point from causing continual pain. If you have more than one trigger point, more than one injection can be performed during the procedure. Before the injury doctor begins the injection, your skin will be cleaned and the doctor will mark the trigger point on your skin. Next, a small needle will be injected into the trigger point, which should cause a small twitching of the area. This lets the doctor know that he/she has reached the trigger. After these initial steps have been completed, your doctor may numb the area with a small amount of anesthetic. While this is not always done, it may help you feel more relaxed throughout the rest of the procedure. Be sure to discuss this step with your doctor before you have trigger point injections to decide if this might be appropriate for you. Once you are numb, the doctor will begin to move the inserted needle in and out of the trigger point. This is done to ensure that he/she treats the entire trigger point area. Additionally, numbing may be required if you continue to feel pain during this step of the injection. During this last part of the procedure, some workers compensation doctors in Arizona also inject steroids, or other medications, into the trigger points. In most cases, using just a needle with or without a local anesthetic, seems to help alleviate the pain caused by trigger points. One of the first benefits you will notice after having this procedure is immediate relief from pain. This is mostly due to the anesthetic used during the injection. Once the anesthesia wears off, you may feel some soreness in the muscle that was injected. If the soreness is extremely uncomfortable, you can try stretching out the muscle group. You can also apply ice to the area or take pain medication. After a few days, the muscle soreness should subside, leaving you pain-free from your trigger points anywhere from a few days to a few months. 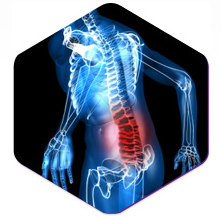 When the pain returns, the trigger point injections can be performed again, as needed.